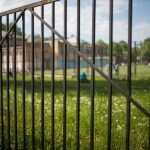 How Much Should You Spend to Install a Wrought Iron Fence? Homeowners who plan to use wrought iron for metal fences and gates should expect to spend $2,670 on average for an installation. You could pay as low as $500 or up to $7,400 depending on the materials. This price lets you have a wrought iron fence that’s 140 feet to 200 feet long. Any decorative elements could quickly increase the cost to more than $10,000. If you plan on selling your home after installation, it could be an excellent way to improve the property’s curb appeal and uplift its value. A newly renovated front yard also helps in attracting more buyers and can even hasten a potential sale. Some of the common types of materials for wrought iron fencing include plain black iron, galvanized, and decorative elements. Plain black metal costs the least among the three, with prices ranging from $24 to $30 per linear foot. However, there aren’t too many design options for this type since it’s more functional than stylish. You will have to spend more if you want to have a different color like bronze or gold. Galvanized iron costs within the mid-range when compared against plain black iron and ornamental materials. You could buy it for $28 to $32 per linear foot. Galvanization prevents rust, which happens after three years or even earlier if your fence doesn’t have a protective layer of zinc. Galvanized railings are a good choice if you like to retain the look of raw iron without being vulnerable to rust. 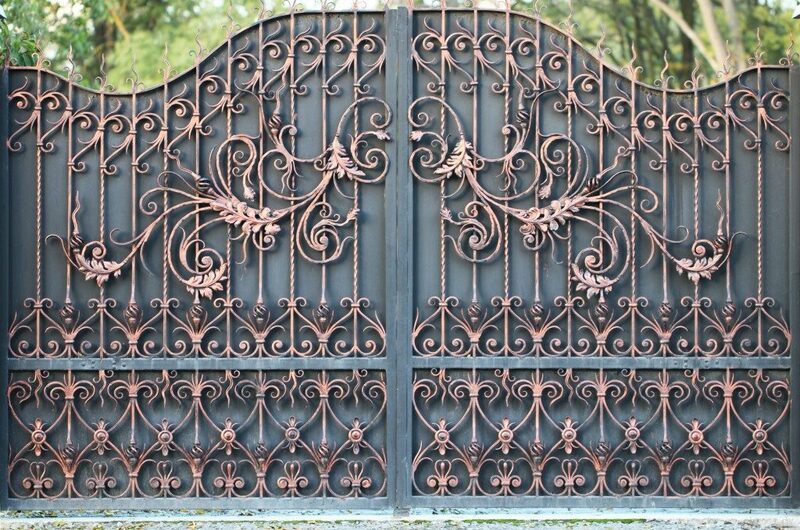 On the other hand, ornamental materials are for merely achieving a particular style for a wrought iron fence. You could spend between $27 and $34 per linear foot of additions such as iron curves and post toppers. It’s a great option if you wish to combine functionality and aesthetics in a fence. There are more advantages than drawbacks to using wrought iron for fences. 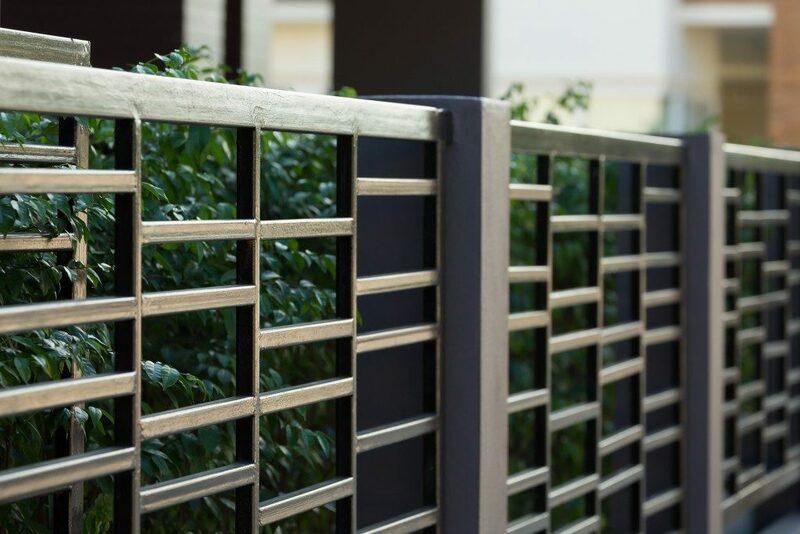 Cost is your only concern when it comes to upfront installation and material expenses since wrought iron is more expensive than any other fencing types. In terms of benefits, wrought iron fences increase the level of security at your home while improving its overall curb appeal. It doesn’t require frequent maintenance aside from the occasional paint and sanding work, which are only needed at least twice every year. Paint and galvanization aren’t the only refinishing options for homeowners, as they also can apply powder coat to prevent metal scratches and fading colors. Another advantage of wrought iron involves its resistance against harsh elements during a cold winter or a hot summer. 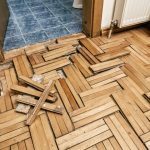 While maintenance can be a DIY project, you would need a professional for installation because of this project’s complexity. An excellent way to save money on materials and installation expenses requires you to shop around for rates. When choosing a retailer, pick one that delivers products no matter where you are in the U.S. You should also look for stores that offer lifetime warranties on quality, which assures you that the installation is nothing but the best.